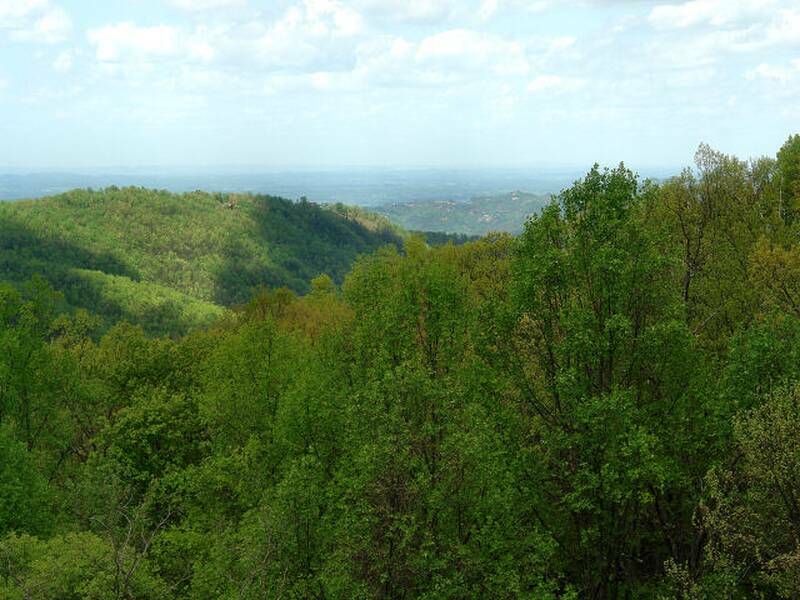 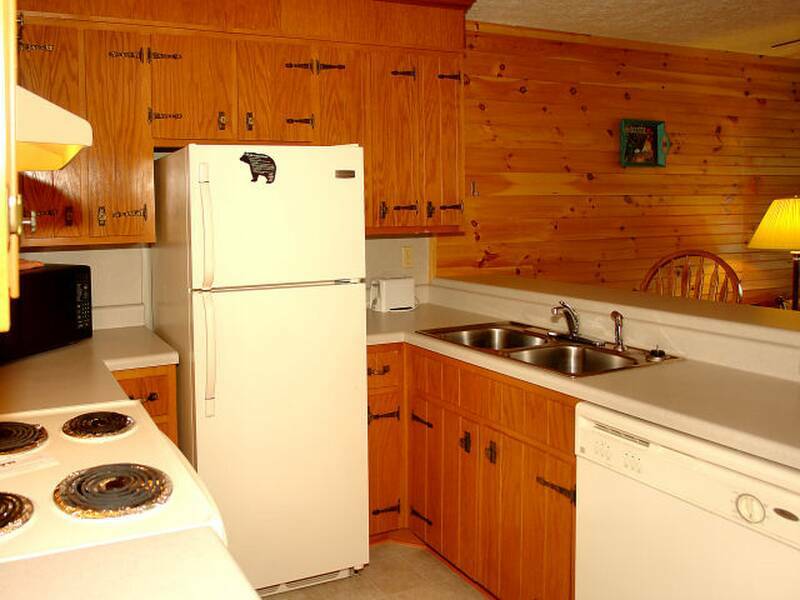 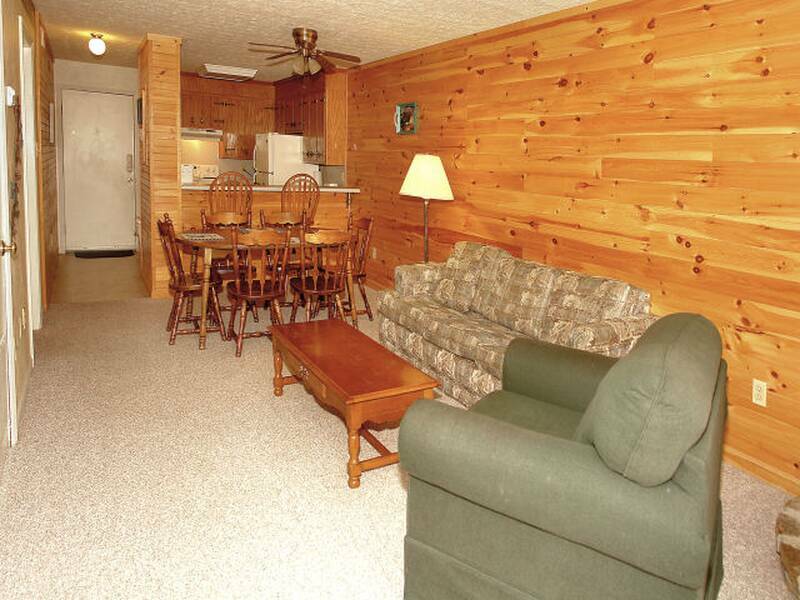 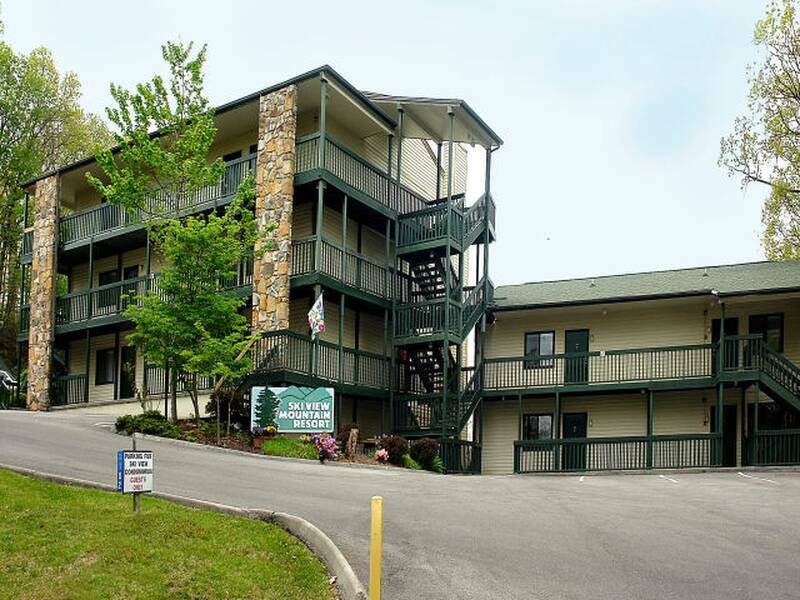 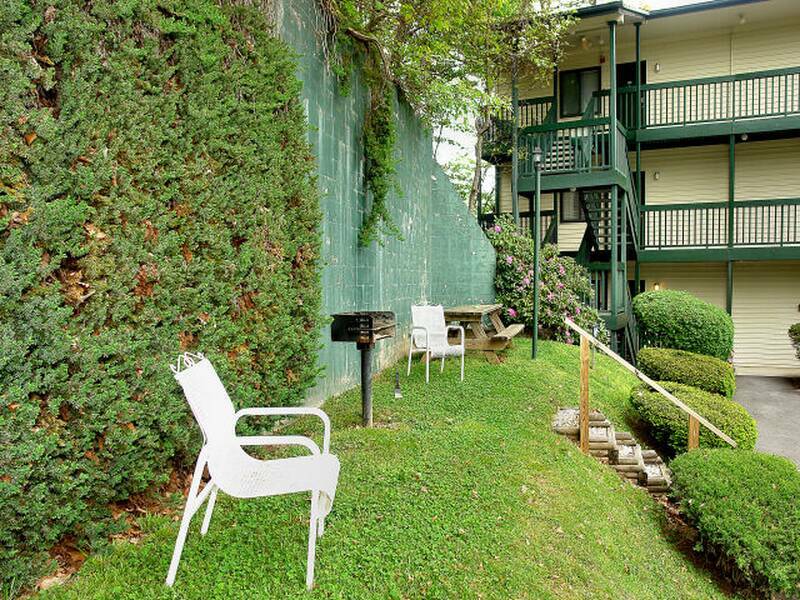 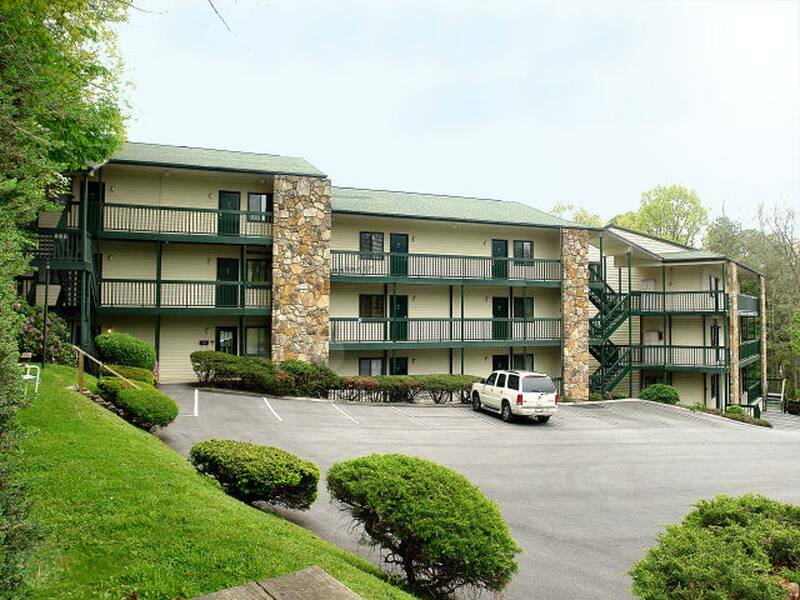 This fun two bedroom Gatlinburg condo is located on Ski View Lane just 6/10 mile off of Ski Mountain Road and just 1 mile from Ober Gatlinburg and the Gatlinburg Bypass. 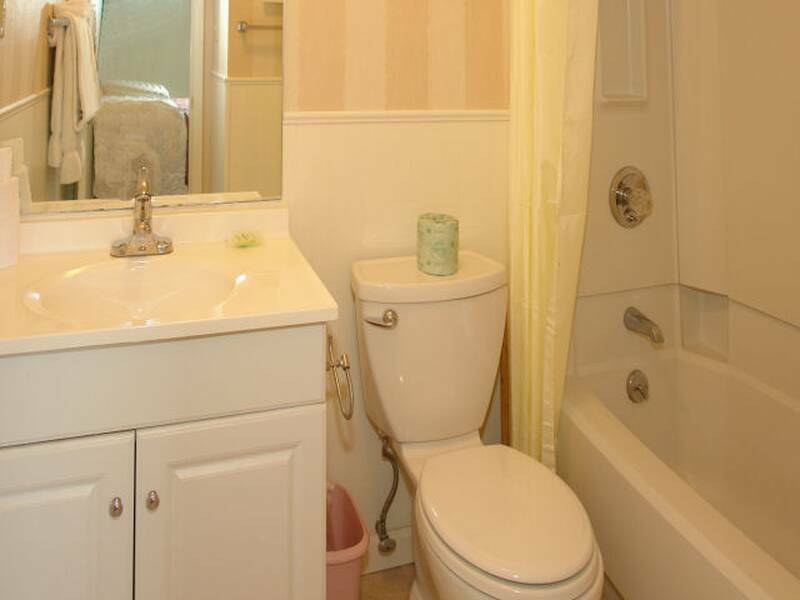 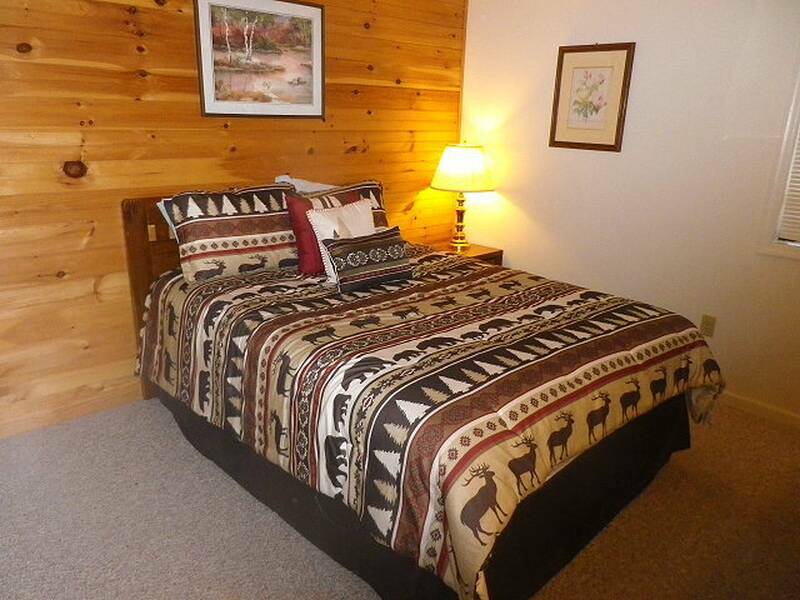 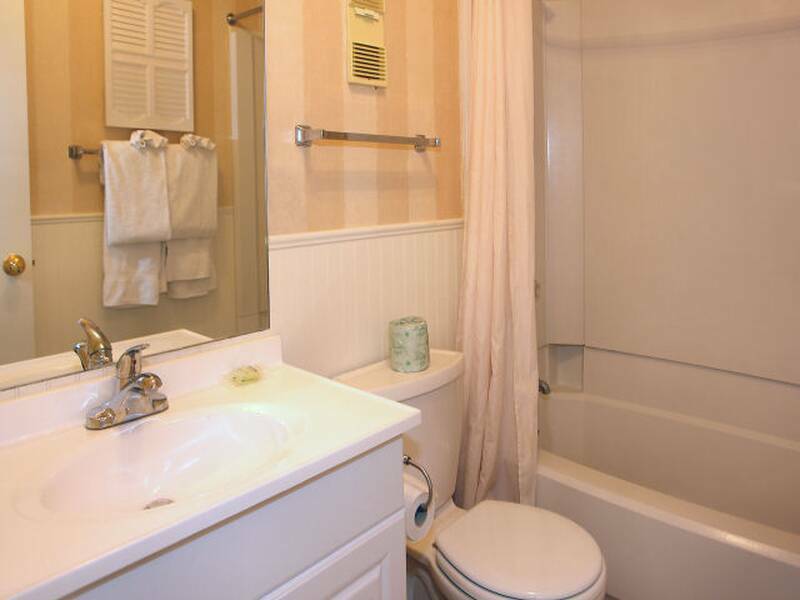 This vacation getaway offers 1 king master bedroom suite w/full bath. 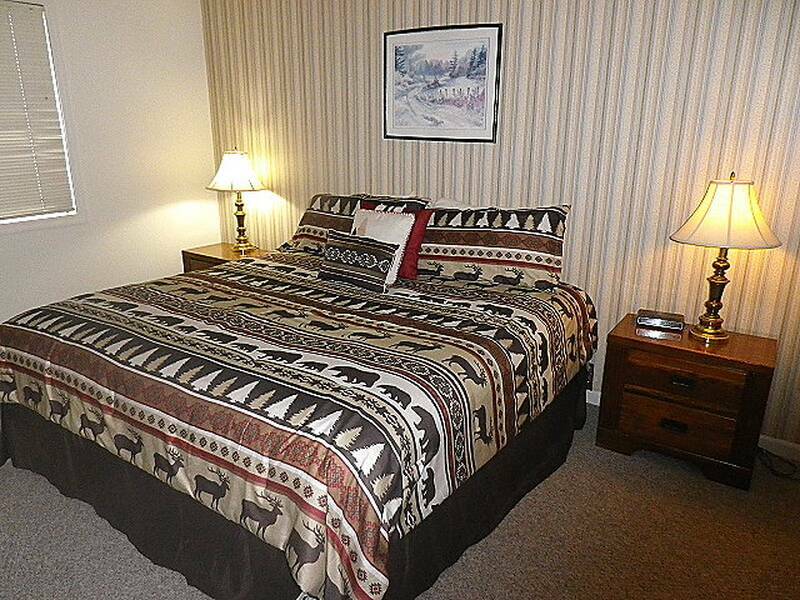 Queen size second bedroom with adjacent full bath is also located on the main level. 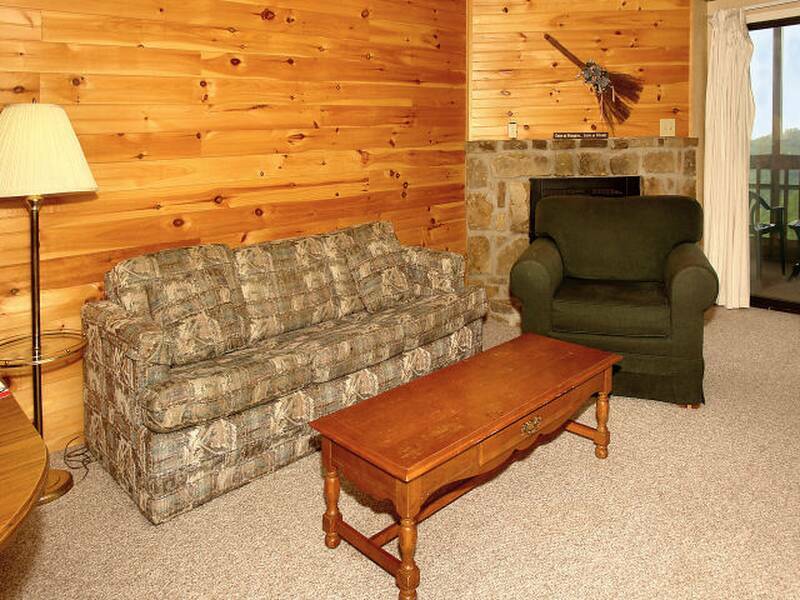 A Queen size sleeper sofa bed in the living area allows for even more guests. 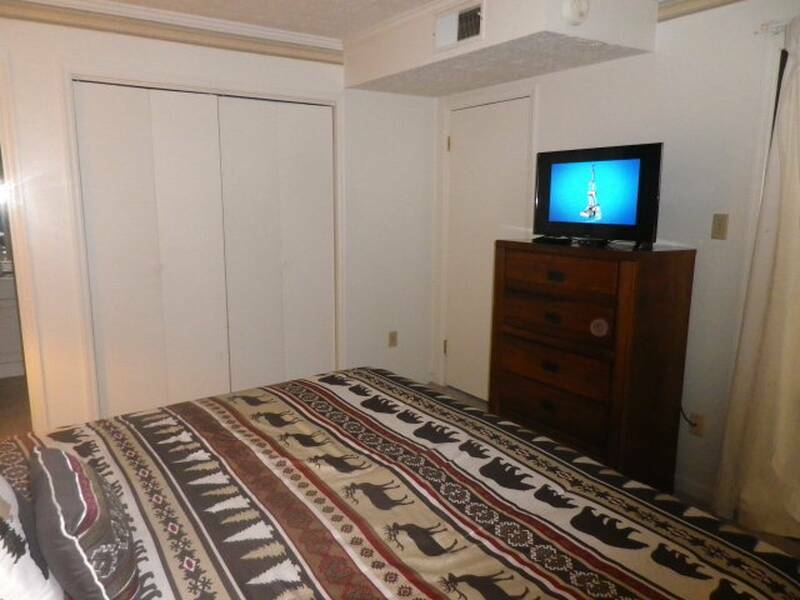 Charter cable in both living area and master bedroom. 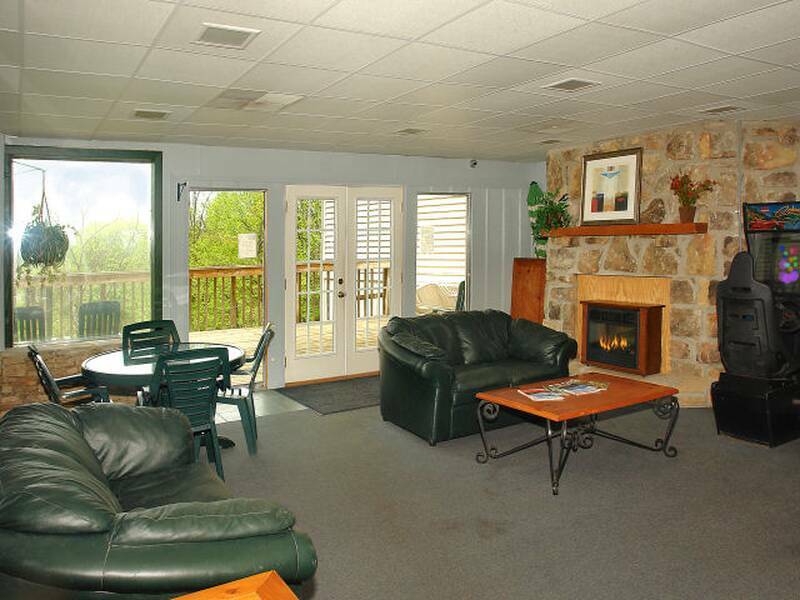 Kids and family can enjoy both the all year round Association indoor pool, inside therapy tub and indoor sauna. 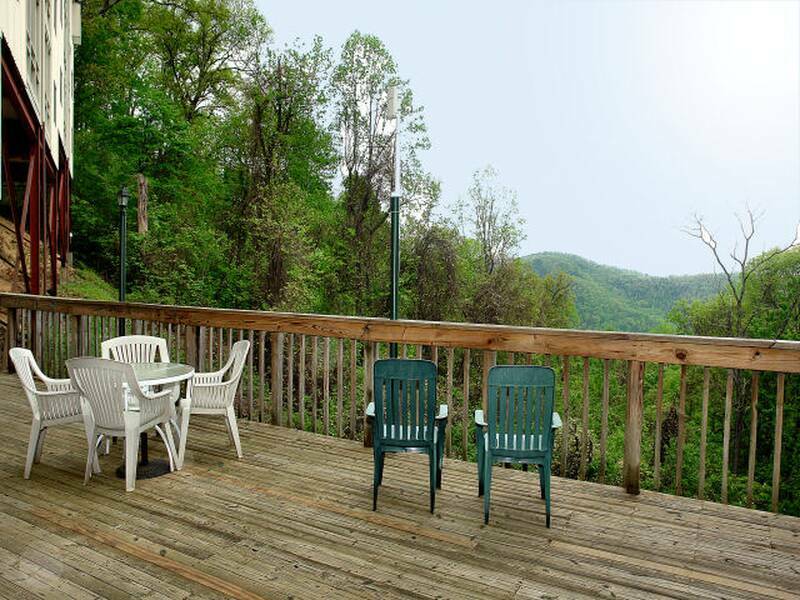 Great screened in rear porch area with some breathtaking mountain views. 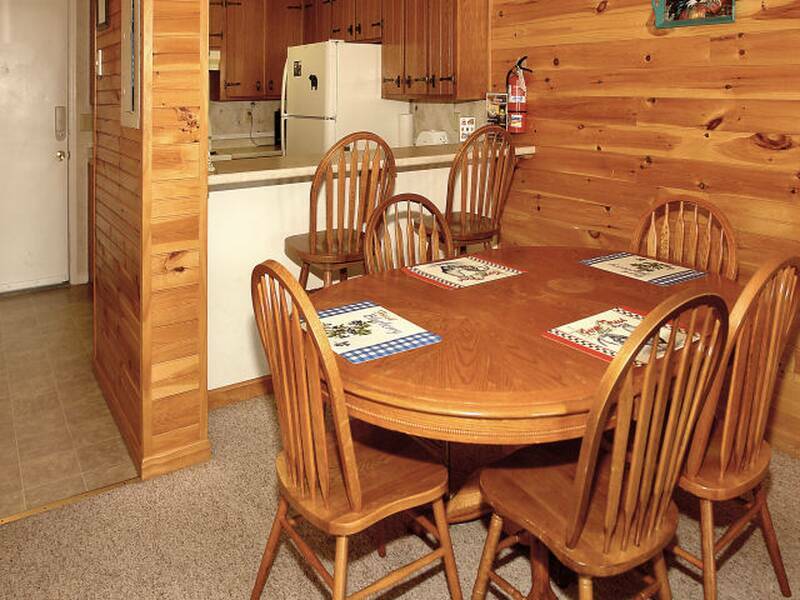 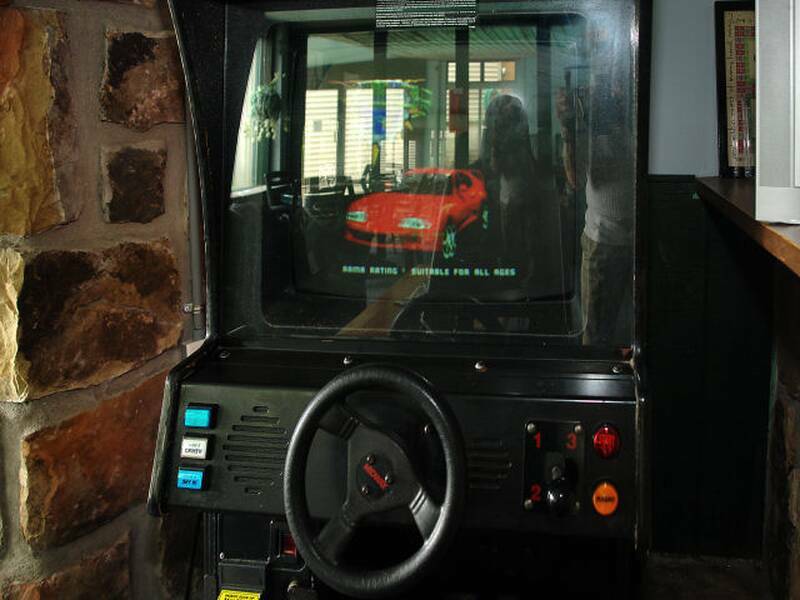 Just the best family fun for all seasons. 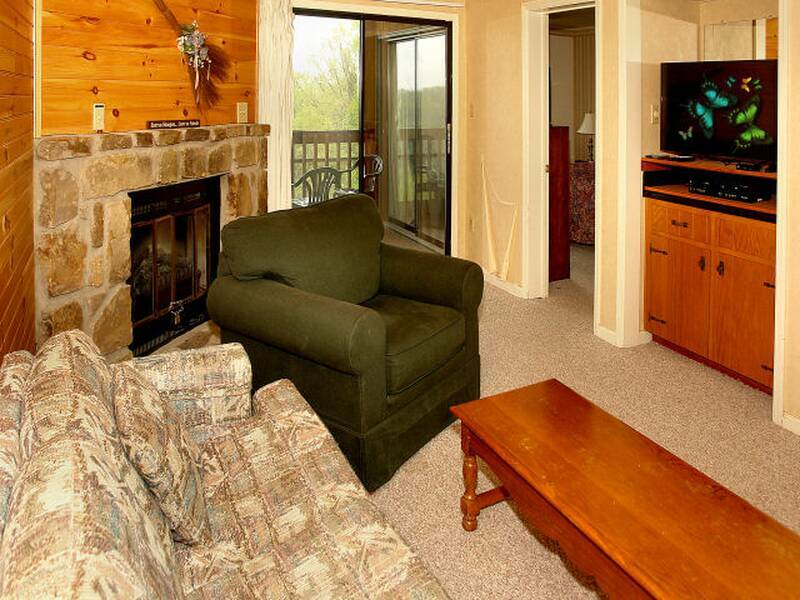 Book this condo now and get your Free Fun Pass with admissions to area attractions!